Welcome to the World of Exquisite Fashion Jewellery. Every design at Jumkey are one-of-a-kind and bespeaks the art, beauty hidden in the making. Enterprising and Passionate Entrepreneurs to join the wings of Jumkey's Retail Pride through Franchising.. Franchising is the practice of using another firm's successful business model. A business partnership where the owner (the franchisor) of a business concept grants you (the franchisee) the licensed right to own and operate a business based on the franchisor’s business concept, using its trademark. A franchise increases your chances of business success because you are associating with proven products and methods. Franchises may offer consumers the attraction of a certain level of quality and consistency because it is mandated by the franchise agreement. As a franchisee you could see healthy profits like or fixed returns like established company without spending years concentrating on building your own brand to compete with the big giants in the industry. The broad line is that franchising allows people to go into the business for themselves, not by themselves. 90% of startups fail in the first year itself, where as In a franchisee business over 90% succeed. 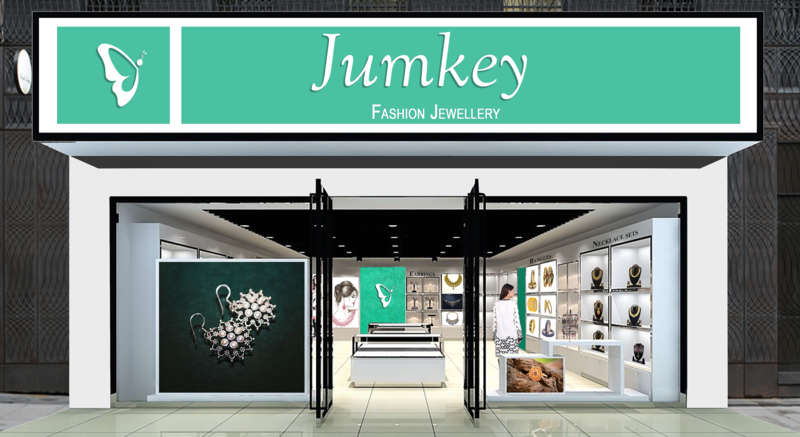 Why tie up for Franchisee with Jumkey Fashion Jewellery? One of the leading Fashion Jewellery Brand. High Quality, QC Passed, Lead Free, Non Allergic, Exquisite and Latest Jewellery Designs. Caters to the needs of the Indian Buyers, knows the customer buying pattern well and delivers a wide array of unique breathtakingly beautiful designs. High Brand Recall and Brand Awareness. Low Investment on working capital : A proven business model and the investment cost in the inventory is kept under bay.